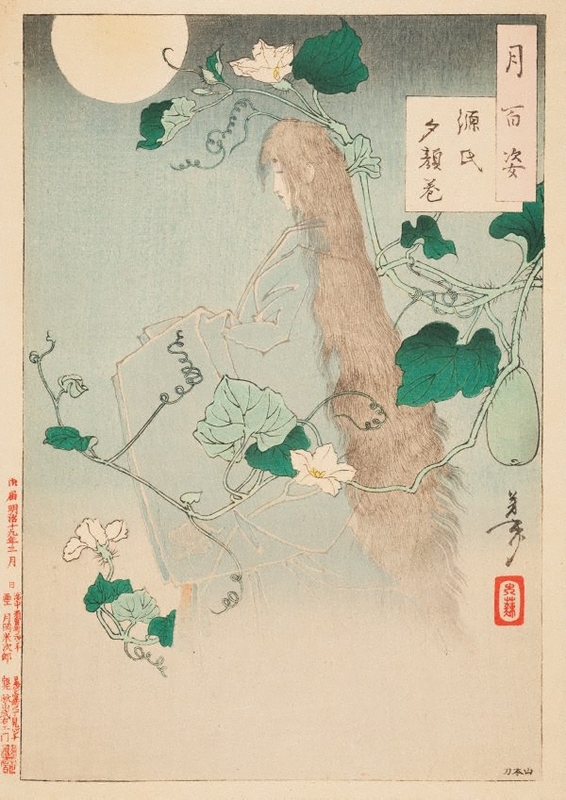 This print represents Genji’s mysterious lover Yūgao, named after the evening glory flowers ('yūgao') in her garden. She eventually accepted Genji’s invitation to visit one of his villas, but within a few hours of making love, she died, killed by the jealous spirit of one of Genji’s former mistresses. 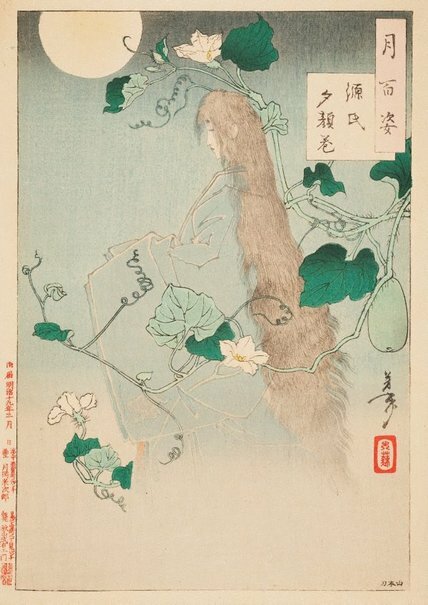 Here, her blue-lipped ghost wafts through her garden among the 'yūgao' vines. The Yūgao chapter from "The Tale of Genji"